Prime Minster Tuilaepa Dr. Sa’ilele Malielegaoi’s week in London would have done him a world of good. It was a timely break from the pressures of home. Anyone who lives in this country would understand that now and then; you need to get away from “the rock” for some fresh air. The petty politics and the personalities can certainly be stifling at times. Which is why we say Prime Minister Tuilaepa would have enjoyed his time away – albeit for work. 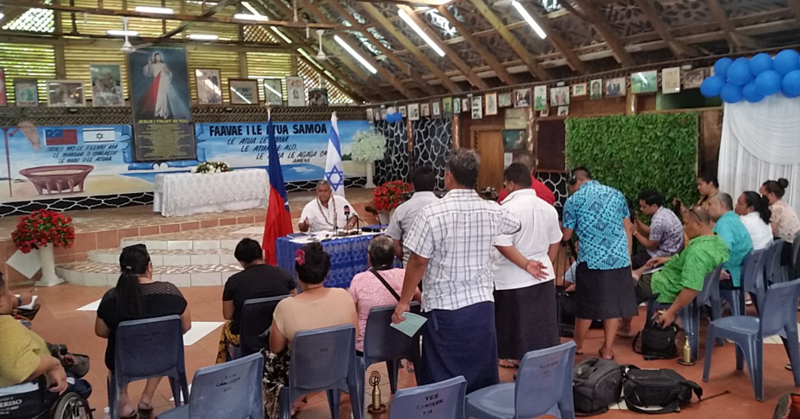 What with the pressure from all corners of the country on his shoulders – and the unwanted threats from some key pillars of Samoan society including the church and some villages –Tuilaepa needed a breather. Perhaps it was all getting too much for our long serving Prime Minister because we’ve seen how cranky he’d become. First he had flatly rejected the “honour” of being called the “Father of the Nation,” chucking it back in the faces of many people who had genuinely meant it. And judging from some of the things he’s been saying lately, you really have to wonder. “Dogs”? “Idiots”? “Stinking pigs”? “Fools”? Pity that but then he is only human and if he gets apprehensive at times, which we all do, it’s understandable. It’s a tough gig. With the conflict at Luatuanu’u a constant source of headache, the E.F.K.S. Church Ministers’ defiance to pay their taxes would not have sat well with him. Besides, the headaches brought by social media and that enigma called Samoan rugby, there is also Prime Minister Tuilaepa’s self-appointed mission to find the “gutless ghost writers” who has/have been giving him some sleepless nights. That mission appears far from being accomplished. Elsewhere, we are living at a time when people are beginning to find their voices on certain issues. One that has started to slowly galvanize the country are fears about the alienation of customary lands. We’ve already had two protest marches about the issue. The crowds might have been small but it is just the beginning and they are unlikely to be the last. Let’s not forget there are many Samoans from around the world who are starting to get behind the dissenting voice and they too have been taking to the streets in protest. Then there is the decision by the former Head of State, His Highness Tui Atua Tupua Tamasese Efi to speak out (see his paper on pages 6, 7 and 14). That one would hurt Prime Minister Tuilaepa and his administration. Let’s not forget the internal conflicts within the H.R.P.P. as members of the party continue to quietly (in some cases) jostle among themselves about who is the likely replacement should Tuilaepa decides to call it a day. Folks, we can go on and on but we’ll stop here. The point is all that “trouble in paradise” would drive anyone mad. And the last thing they would want is to be reminded on a daily basis. Which is perhaps why Prime Minister Tuilaepa has grown tired of the Samoa Observer so that for two weeks prior to his departure for London, he declined the opportunity to be questioned about these issues by a reporter from this newspaper. Well if that’s what he wants, then he should treat all media companies the same. But that’s not what’s happening. Please do and let us know. You see the past week in London where Tuilaepa had been rubbing shoulders with royalty during the Commonwealth Heads of Government Meeting (C.H.O.G.M.) should have been enough time to get over his crankiness. But then maybe he is just tired. Which means that perhaps it’s time to move on, retire and enjoy the fruits of his labour while he can. He’s done a lot for Samoa and he deserves it.